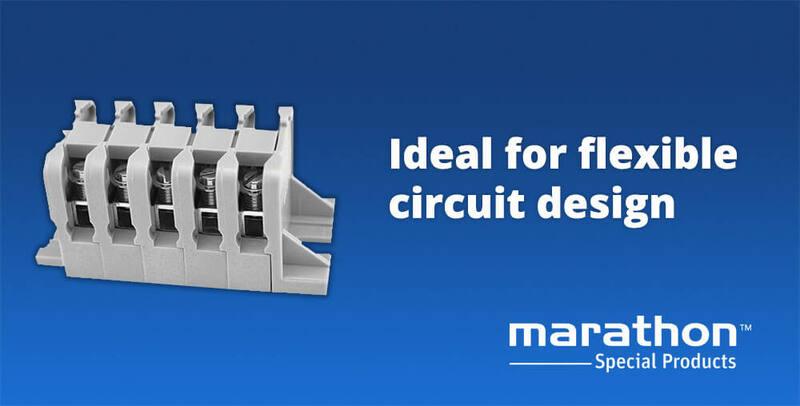 Marathon’s Sectional Terminal Blocks Offer Individually Molded Units » HHP Associates, Inc.
Terminal blocks are a versatile way to manage wiring. With them you can interconnect panel wiring, or connect panel wiring to field wiring. Plus they can be mounted directly to a panel, or on a DIN or channel rail. Marathon’s sectional terminal blocks have individually molded units with electrically conductive members, making them even more useful. Marathon’s NEMA Barrier sectional terminal blocks offer pitches from ⅜ to ½. Choose NEMA sectional terminal blocks when you need a flexible circuit design.